I am asked on numerous occasions to respond to questions regarding mentoring, mentoring process and how mentoring can bring value to individuals and/or organizations. Here are some of those questions and my responses. Q: What’s in it for someone who mentors fellow professionals for free? A: I have a mix of people that I am in a mentoring partnership with – some that pay for the service and some that I provide the service at no cost. I view that as a way that I can give back. I firmly believe that it is not about me and my focus needs to be on the person I am being of service to. I don’t want you to be misguided however as I always come away with learning something from the time I spend with someone. It can be about them, the mentoring process or about myself. Seeing someone else grow whether on a personal or professional note is rewarding enough. Q: How do you mentor junior project managers? A: This is a question that I get asked a lot and it always focuses on the myth that I need to have experience in a particular field before I can mentor someone from that industry. I mentor people in all different industries and sectors and I do not have experience in some of those areas. As a result of being open to learning and asking the right questions I am gaining that knowledge through the mentoring partnerships that I have. Mentoring is a two way trusted relationship where both parties of the mentoring partnership learn and grow on a personal and professional basis. The mentoring of a junior Project Manager would basically require that you follow proper mentoring concepts. You guide through the asking of the right questions to help the person develop or enhance critical thinking skills. Through the asking of those questions you will gain knowledge in the job and the industry that the PM is working in. What I have found that is the most important task is making sure that you focus on the personal growth at the beginning of the relationship. I have seen far too often that when we don’t address the personal challenges the relationship slowly begins to erode and fall apart. Q: Do you have a mentor? If you do, how did they become your mentor? A: I have a number of mentors each who address a specific need or they are capable of addressing more than one specific need. Some of the mentors that I have had or currently have were as a result of participating in an entrepreneurial start up program where mentoring is a key service that is provided. Some of the mentors I have today are those that I found through work related relationships and the sense that they could fill a void that I may have. Because of my function as a Certified Competent Mentor and providing of that service to others I have become very particular about who I ask to become one of my mentors. I am truly blessed to have the mentors that I do as part of my mentoring partnerships. Q: How would the world be without mentors? A: I honestly don’t believe that we have tapped into the full potential of mentoring. There is still some confusion as to what mentoring is all about and a lot of people are unsure of how to unlock mentoring in their organization. I facilitate a mentoring circle every two weeks and we discuss what would life be like without mentoring. We have lots of great examples of where mentoring has been of value but the uncertainty is still there as some struggle understanding the full potential. 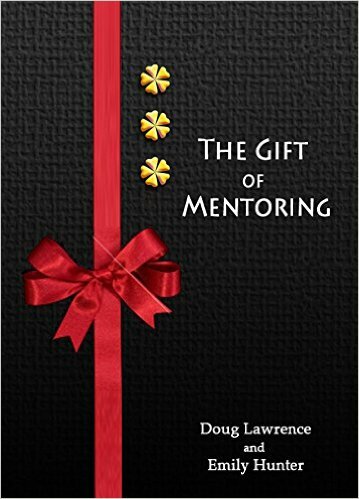 My best example of what it would be like is to illustrate what it could be like if we truly embraced the “gift of mentoring”. Imagine a world where mentoring was in place right from the very moment you are brought into the world. Mentoring would begin in the home. As you embarked on your educational journey you got to experience mentoring in the schools. Mentoring that followed you through to your journey to higher education and finally into the corporate world. You would be experiencing a nation, a country, a world that pride’s itself on learning and the sharing of that learning with others through the “gift of mentoring”. Q: What is the best way to find a mentor for my business? A: There are a number of ways that you can search for and find a mentor. You need to determine first however what it is that you need. You also have to come to terms with the fact that your mentor(s) do not need your industry specific knowledge. It is a nice to have – not a need to have. I am mentoring a number of people in different industries/sectors and we are moving forward with no difficulty. Check with your local business community to see if there are any mentoring programs where they match mentors and mentees. You can also look on line for various organizations that provide business mentoring. You may also want to explore a referral. I get a number of people being referred to me so we can begin to discuss whether or not we could work together in a mentoring relationship. Once you think you have found someone it is really important to explore whether or not there is chemistry between the two of you as without that your relationship will struggle. Make sure you define expectations on both parts. Understand that some mentors charge for their services – if that is the case then you need to do some additional checks to make sure that you will receive value for that service. Make sure that you are committed to the mentoring relationship and are willing to do the work that is required to be successful on a personal and professional level. Q: Do you think achieving your goals is the result of mentoring, network connections or luck? A: When I look back over my career and all of my accomplishments I would have to say that it is a little of all three. My network has provided me with some open doors which has resulted in being able to make a difference. Some of my accomplishments have been luck or more about being in the right place at the right time. Overall though mentoring has been the most consistent process in helping me achieve my goals and continues to do so today. Working with a great mentor is a blessing and is something that we need to commit to the journey. If you don’t commit then you will only see minimal benefits. Q: What people skills have you learned from a mentor? A: There are a number of skills that I have learned as a result of mentoring whether it be as a mentor or the recipient of great mentoring. I see everyone as unique and I need to tailor my leadership skills to each person on an individual basis. Mentoring is much the same. Another set of skills that I have learned and how share as part of my mentoring process/technique is “effective communication”. “Effective communication” takes into account active listening – listening and hearing what the other person is saying, listening for trigger words and deflections in the conversation, learning to pause and reflect before speaking – “how is what I am about to say going to be received? “The use of the Socratic Method – asking questions instead of telling someone how to do something. The list goes on from here. Understanding people and how they communicate is a leadership skill as well as that of an extraordinary mentor. Q: What is your best advice for someone who is thinking of mentoring others? A: One of the things that I always recommend to anyone interested in the mentoring process is that if at all possible get some training on mentoring techniques and processes. You will find that by doing so you are able to create a deeper, richer mentoring experience not only for yourself but the person you are going to be mentoring. Be open to learn as well. With each mentoring session that I do I come away having learned something about the person I am working with or about myself. I then use that in my reflection that I do before and after each mentoring session. Be committed to the process and to the person that you are going to be mentoring. Do not impose your expectations on your mentee but seek to understand their expectations and ability to meet those expectations. There are a number of moving parts in the mentoring process. Most importantly enjoy the journey!